This packet is designed to make your guided reading time a breeze. Everything you need to help your kindergarteners become better readers is included. Through using this packet, students will be able to locate informational text features, respond to informational texts, practice connecting to prior knowledge, retell the sequence of events, and locate the main idea and details in a text. I've even included cards and pictures so that you can create anchor charts for your students. 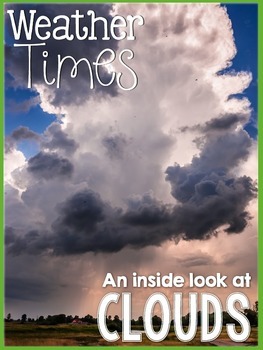 I have included many science extensions/recording pages that focus on life cycles as well. Each topic includes three leveled texts to make differentiation simple. I have also written out step by step lesson plans for you to follow. 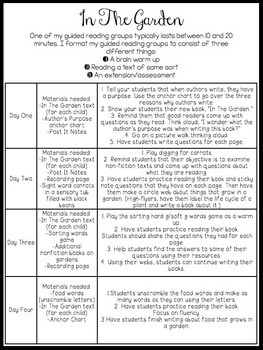 Each day consists of a brain warm up, reading the text (while working on specific reading strategies), and an extension/assessment. Each week students will practice different language and phonics skills as well as new sight words. Flashcards and games are included that go along with the weekly objectives and topics. These games are perfect for literacy centers as well! Writing extensions and crafts are also provided. My kindergarten students LOVE these texts and activities. They are having a blast reading them. -Students will demonstrate their understanding of a text. -Students will be able to state the author’s purpose. -Students will be able to ask questions to think critically and build new schema. -Students will be able to identify the important ideas from the text. -Students will be able to make connections. 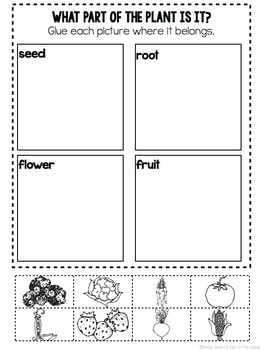 -Students will be able to support their thinking by using words and ideas from the text. 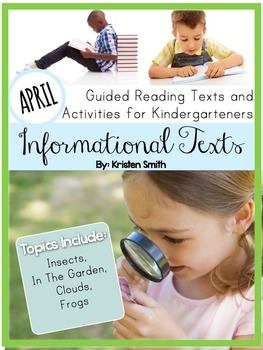 -Students will read an informational text and create an inquiry. -Students will write about what they have learned. -Students will be able to demonstrate understanding of key details in the text by asking questions such as who, what, when, where, why, and how. -Students will know and use various text features to locate facts and information. Take a look at the preview to get a closer look at how this packet works and what is included in it. You will not be disappointed in this packet!